Most factories have well established and highly efficient processes already in place. Manufacturers are genetically cautious: there are many more ways to break a working process than improve it. Assembly plants have historically been driven by the shop floor, with IT providing a supporting function. IIoT and Industry 4.0 require a leading role from IT right down to the level of process controls. This is going to involve adjustment and a blurring of lines between departments. Smart technologies need to store, process, analyze and transfer massive amounts of information. However, volume isn't the only issue. Data types can also be a challenge. With so many different components from diverse factory floor machines being implemented in unique manufacturing environments, connecting them can be a challenge. Supply Chain Management, Operations Management And Product Life Cycle Management A connected demand-driven supply chain cannot be achieved if departments and companies operate in silos. Integration of operations technology (OT) and information technology (IT) is required to connect process control, operations management and business planning. Organizations will also need digital product models for end-to-end product life cycle management. Regular maintenance is a key component of smooth factory operations. By planning regular (usually annual) outages for equipment maintenance and repair, companies can reduce the likelihood that they'll be hit with unplanned outages as the result of emergencies. But, there are some problems with this approach. Not all equipment needs maintenance at the same time and on the same schedule. Introducing new business models, business processes, and connected products and services will transform the way employees perform everyday tasks. In order to deploy Industry 4.0 solutions, companies need to train employees with new skills and in some case they will need to consider new people. The Industrial Internet of Things (IIoT) and Industry 4.0 will change the entire manufacturing system, from the architecture and organizational structure to products, services and business models. The development and deployment of these solutions will be incremental and must be part of a long-term strategy. The Zotera platform enhances manufacturing plants and assets by connecting existing Information Technology (IT) and shop floor Operations Technology (OT), sensors, devices, assets, products and materials with an IIoT platform thereby creating solutions that integrate data, people, workflows and legacy systems with solutions and services delivered via the cloud. Whether you are building new facilities or refurbishing an existing plant, production equipment, systems and sensors can generate large amounts of data on every aspect of the operation. Zotera's solution allow massive amounts of data to be collected, aggregated, and analyzed to unlock its business value. Through the use of sensors, manufacturers can determine if their products have been exposed to temperatures, pressures, or other environmental conditions that might render the product unsafe. Having this knowledge ahead of time can save companies millions of dollars in recall costs. 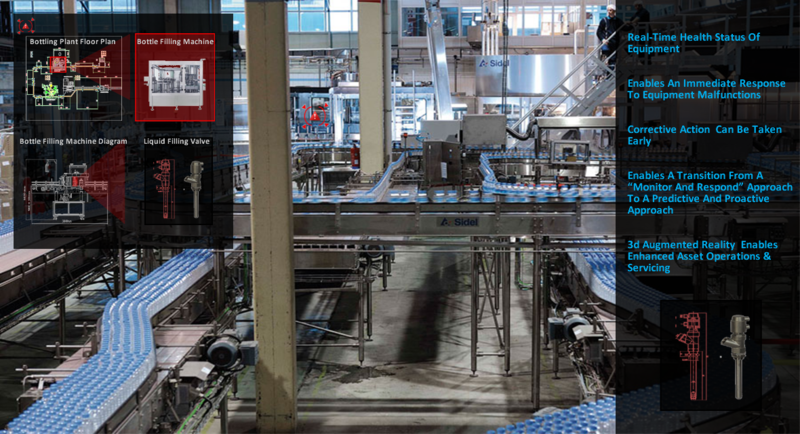 Manufacturers can use Zotera's platform to gather and analyze data from multiple facilities. As a result, they can make better decisions related to operations efficiency, quality control, etc..
Zotera's IIoT platform allows data to be collected in real-time to facilitate decision timely decision making such as the failure of a machine in production line. While the majority of factories explore how Machine-to-Machine (M2M) and IIoT technologies improve process, few factories have been able to successfully implement predictive maintenance. Many factories have mechanisms for scheduled preventative maintenance and redundancy on critical systems, but few predict failure in time to perform maintenance. Zotera's solutions allow manufacturers to move to a predictive maintenance model. With real-time performance monitoring of equipment and devices, companies can plan their maintenance schedules around when the equipment actually needs it, rather than according to an arbitrary schedule.